Researchers have found that a woman's body clock may affect her chances of developing breast cancer. 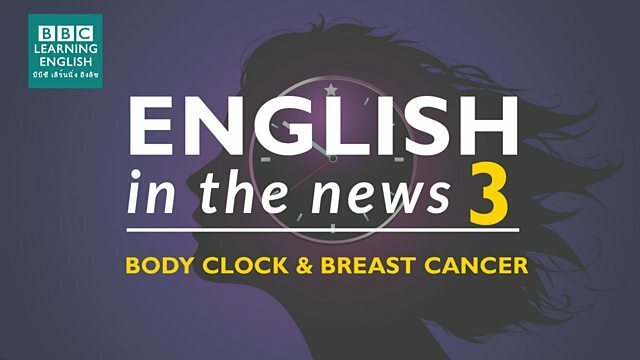 Join Sian and Clare to learn more about this news story and to learn lots of great phrases and idioms to talk about a person's sleeping habits and body clock. What kind of person is awake and energetic in the mornings? June is such a ______ person. She loves getting up at 6 o'clock to go running! What did Clare say about hyphens (-) with the verb and the noun versions of this word? What phrase can we use to talk about a person who likes being awake and active at night? Clare is such ______ - she can stay up all night and not get tired.